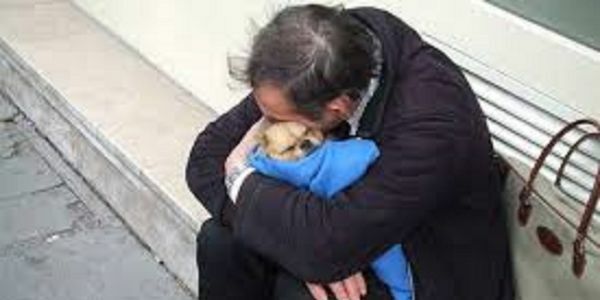 Many homeless people keep dogs for security as well as comfort. Currently only 9% of hostels for homeless people in the UK are dog–friendly, meaning that many dog owners are denied access to shelter and support, simply because they have a dog. Likewise, rules on dog ownership for council housing or housing association tenants vary from place to place, with many councils forcing people to give up their pets to rescue centres — or remain homeless. Why should homeless people who have good hearts, enough to care for, and cherish their furbabies be denied emergency or council housing? This is not OK. It's time local councils and UK government understand the bond and the importance of pets for the homeless. Pets nurture. Pets love. My dogs are the ONLY things that kept me going when I was homeless. I had to live in my car in cold weather because I was denied housing because of my dogs. When I found myself homeless, I applied for emergency housing from the council, only to be told that I could have a house, but would have to part with my pet dogs, Robbie and Cleo, in order to get it. I decided that I couldn’t give my dogs up, so spent months living in my car, whilst desperately trying to find work. Please sign now to email your District/Borough/Unitary Council Leaders to ask what their policy is on pet ownership in council properties and emergency accommodation, and to tell them it is NOT okay to tell people they cannot have housing because they have pets. Hi all, just one more reminder that Care2 will imminently be delivering your emails to your Council leaders, so hopefully they will respond directly to you! Thank you for signing. Thank you to everybody for signing so far. Due to the overwhelming support for this petition, Care2 will be delivering the letters to UK District Council Leaders shortly. If you are in the UK and do not want your council leader to receive an email from you, please email ukpetitions@care2team.com before 26 June so we can remove your name from the petition.